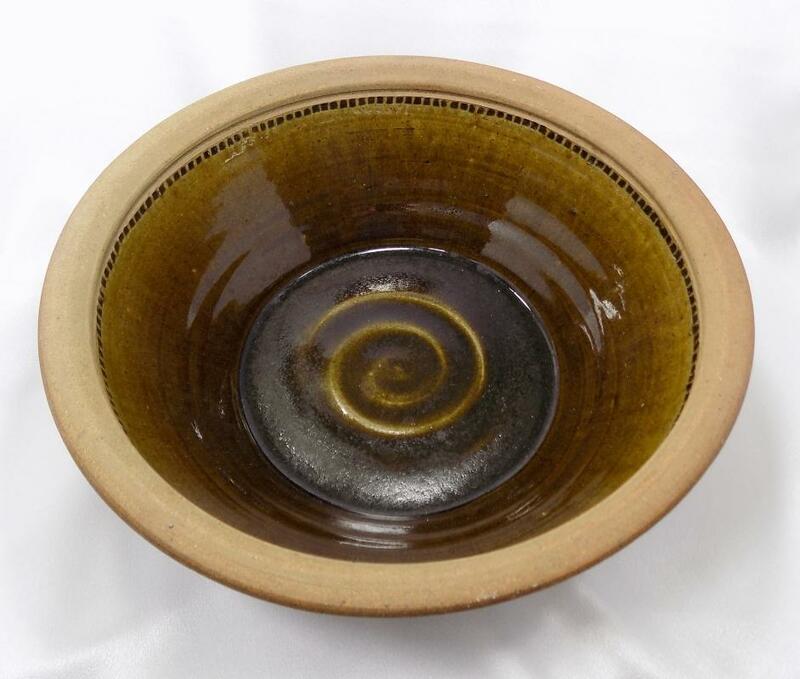 This large yet graceful, beautifully glazed stoneware bowl was made by Clary Illian of Ely, Iowa. Producing ceramics since the early 1960's, she is now 50 years into her career and is internationally known. 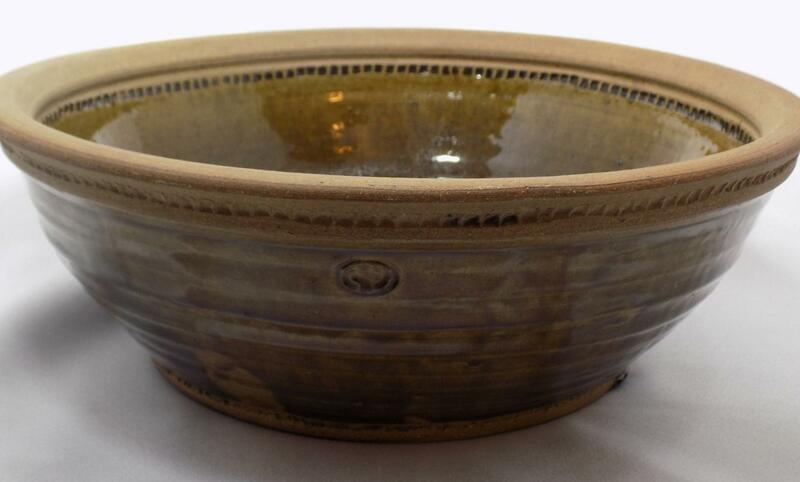 Ms. Illian apprenticed under Bernard Leach at the famed Leach Pottery in St. Ives, Cornwall from 1964 through 1965. Seventeen of her ceramic pieces are in the David and Louise Rosenfield Collection. which includes at present count 2681 contemporary ceramics by 562 artists. 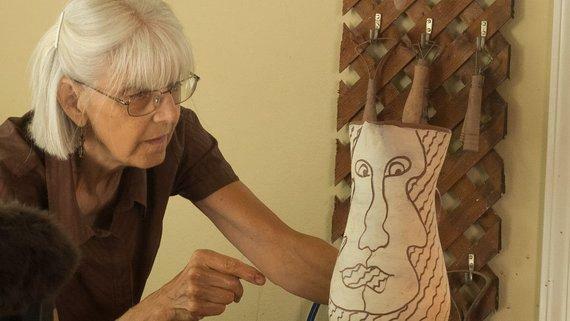 Her pieces are also in the collection of the Archie Bray Foundation for the Ceramic Arts in Helena, Montana, where she was a 'Visiting Artists and Workshop Instructor' in the 1970's, along with luminaries such as Peter Voulkos, and was also an 'Artist in Residence' there in 1981. 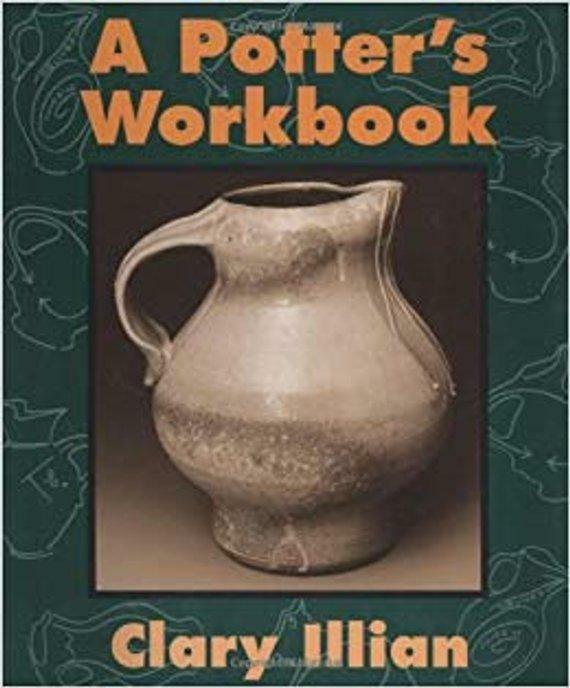 We've included a photograph of Ms. Illian at work, along with a picture of the cover of her book, "A Potter's Workbook." This expertly hand made piece is simple in form, with a wide, flattened dry rim and a lovely curve to the body that exhibits Ms. Illian's finger marks inside and out. 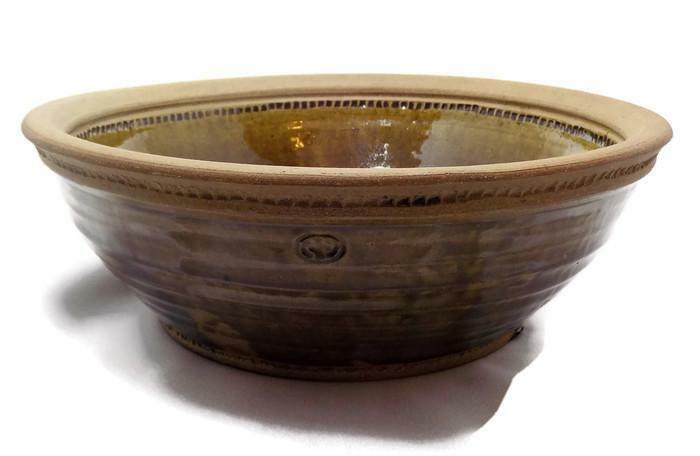 This master potter, however, has embellished that simple form with a row of tiny rectangular notches on the inner and outer rims and then applied a gorgeous chocolate brown glaze. It's variegated and dripped, ending in small pools here and there at the outer base. On the interior bottom the glaze forms a whirlpool and the bowl is finished with a high gloss clear top glaze. 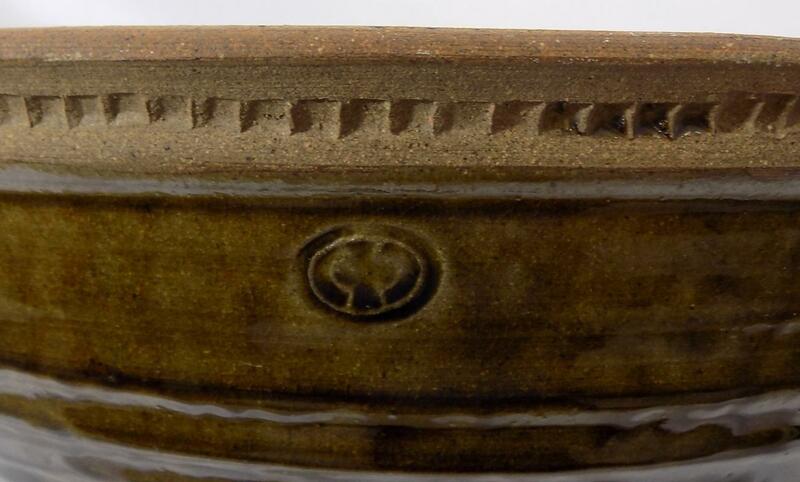 Ms. Illian's distinctive maker's mark is impressed near the rim, shown close up in our photograph # 4. 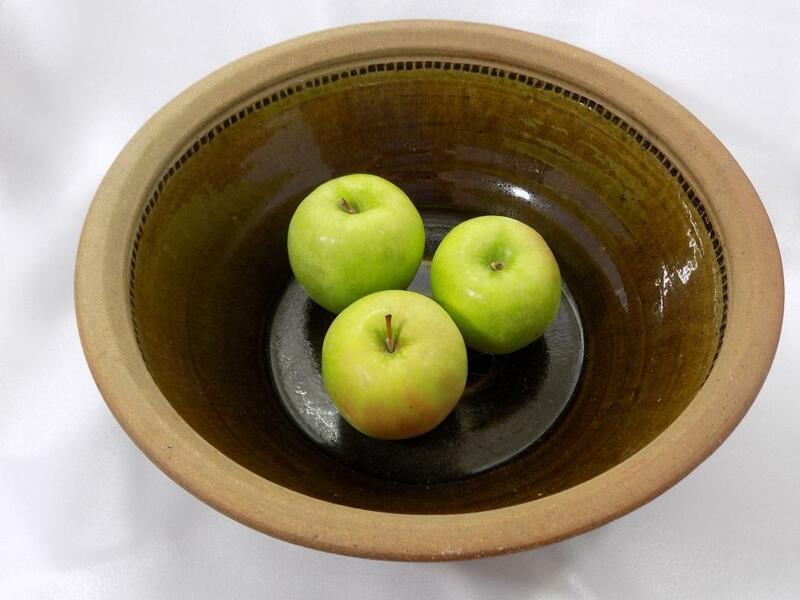 The bowl is 14 inches across the top, tapering to an unglazed bottom 8 1/2 inches across. It stands 4 3/4 inches high and weighs a whopping 7 3/4 pounds. The bowl is in outstanding condition, with no chips, cracks or crazing. 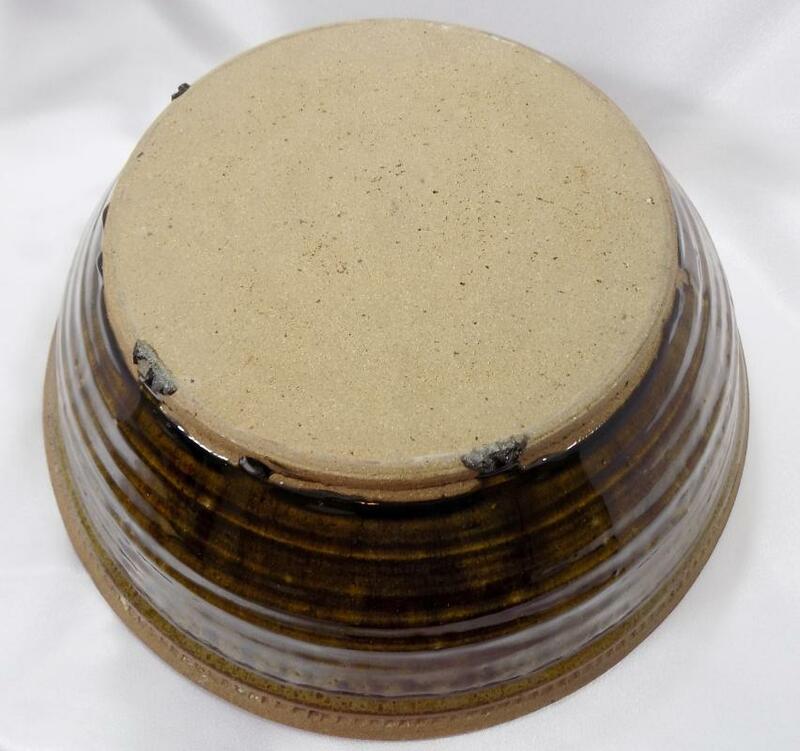 It's a handsome piece of 20th century stoneware by a famed artisan.